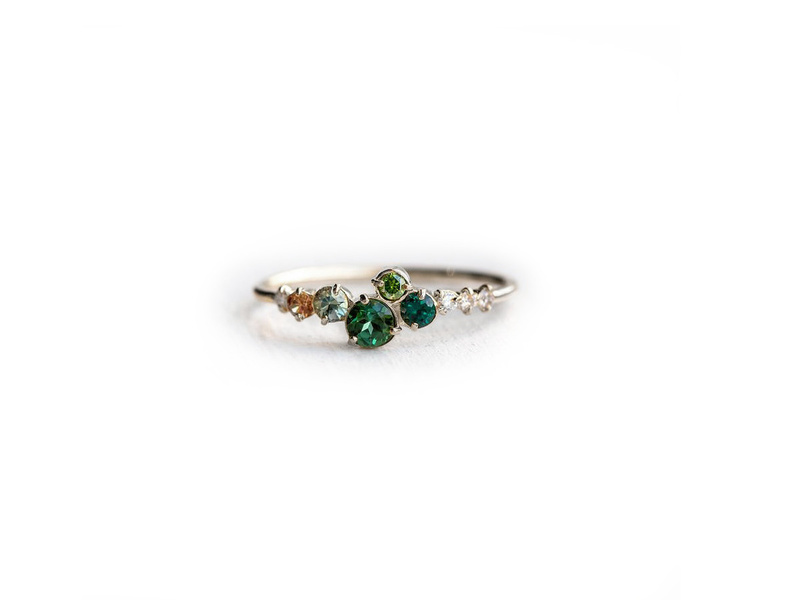 Trellis in Giverny multi stone green cluster ring with green tourmaline, green sapphire, green diamonds, green garnet, champagne diamond, peach sapphire. Delicately set in 14 karat white gold. Designed by Melanie Casey.